He shuffled into the living room, shoulders slumped, and with a great sigh lowered himself to the couch. His clothes bore the marks of a man who worked hard for a living. He could barely meet my gaze, as if he were somehow lacking or not enough. I knew he needed my compassion and encouragement, but instead of sympathy, I felt only frustration. After all, I thought, I’m working hard in this season, too. I’m weary, too. What do I have left to offer? It feels like too much, and I have nothing left to give. Besides, he’s a grown man. I’m busy caring for children and our home all day long, on top of the demands of work and ministry roles that I am responsible for. If I can keep myself going, why can’t he keep himself going? And just like that I missed the opportunity to be a warrior wife. Have you ever been so caught up in the busyness and stress of life that you forget who you are or who you were created to be, friend? I become task-oriented rather than people-oriented, a slave to the to-do list rather than a Spirit-led woman. And it’s downright frustrating how quickly and easily I slip into this mode of doing rather than being! At a recent women’s conference, I received a wake-up call from the Lord. One speaker in particular, Dana James, reminded us of who we are created to be as daughters of the one true King in relation to our husbands. My friend Dana shared with us that God designed us to be “helpers” from the very beginning. Yes, I know we’ve all heard this verse before. Our job is to help, right? That’s our God-given “role,” right? Dana drew our attention to the original language, which uses the Hebrew word ezer (pronounced ay-zer). The word ezer is used 21 times in the Old Testament, but the majority of those uses are in reference to God himself, His character. In such cases, the word ezer is used in connection with words like shield, sword, deliverer, mighty, and hope. Thus, ezer refers to the warrior aspect of God’s character – the One who fights on our behalf, our Shield and Defender, our Rescue. As I looked further into the meanings attached to this word and its definitions, I found connotations of assistance or aid, especially in times of suffering or distress. It means relief given to someone in need, removing or reducing something that is painful, unpleasant, or even oppressive! And this very same word ezer is used to describe a helper suitable for Adam. Do you see what this means for us, my sisters in Christ? When the Lord God chose to create woman, He instilled in her very character the properties of this ezer. He created us to be warrior women, warrior wives, who will bravely fight spiritual battles on behalf of our husbands, who will provide aid and relief to the men in our lives who are worn down and discouraged by the demands of this earthly life. Here’s the rub: I think we all know this intuitively and most of us truly desire to live this out. But sometimes it feels like a whole lot of work that we have no strength to do, doesn’t it? So when I saw my hard-working husband down and out on a day when I was already in that weighed-down place myself, I chose to look the other way. I chose to put my needs first. I left him without his ezer, his helper. It was a selfish choice that I’m ashamed to say I make often when I’m already stressed. And I wonder, why do I make this choice? What is it that feels so hard about being a warrior wife? What secret am I missing? The secret to being a warrior wife lies in our perspective. 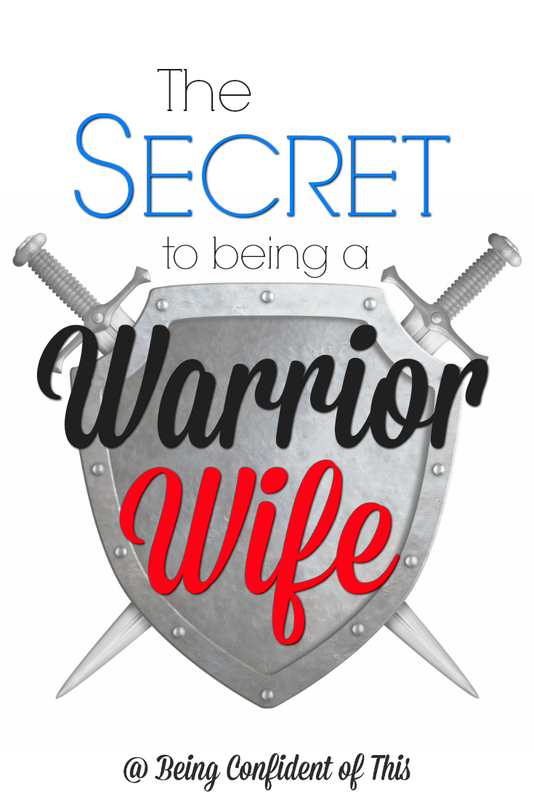 When I see being a warrior wife as a job I need to do, it’s easy for me to let it slide on the days when I’m worn out or discouraged. It’s easy for me to call it “too hard.” But when I see being a warrior wife as part of my very identity, as a reflection of God’s character that comes not from trying harder, but from yielding to the Spirit, then I’m left with no excuses. It is who I am called to be in Christ, and it’s who you are called to be in Christ, too, friend. Don’t leave your husband without the helper he really needs. You were created for this and in Christ, you are equipped for this. Let’s be warrior wives who fight the right kind of battles, not against our husbands, but for them. Let’s do battle on our knees and in our war rooms against the real enemy. Let’s choose to aid rather than to ignore. 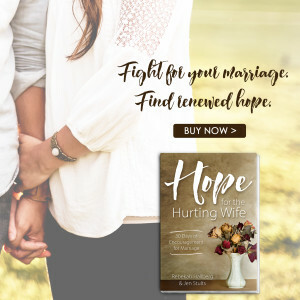 ~ This devotional is an excerpt from the book, Hope for the Hurting Wife by Rebekah Hallberg and Jen Stults. 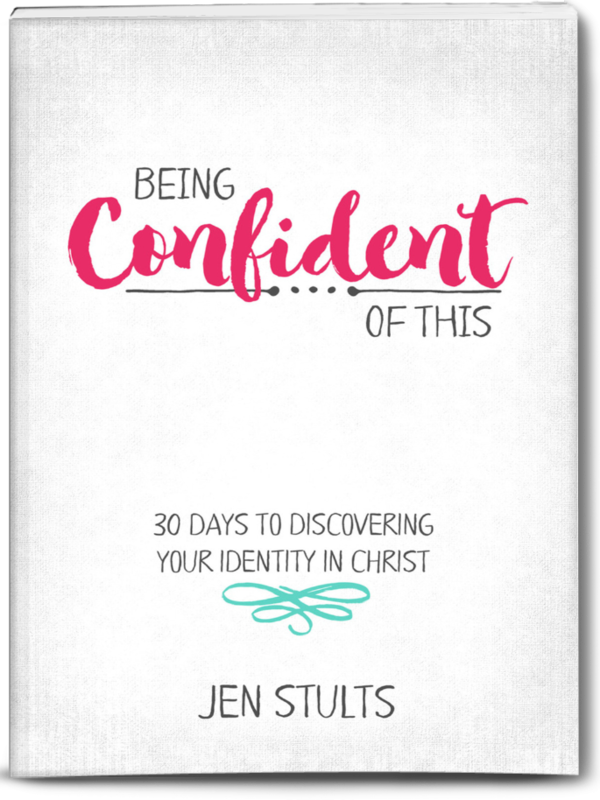 Inspiration for this devotional came from Dana James’s talk “Being a Very Strong Helper” at Tranfsormed 2016 (Central Conference) and was used with permission from Dana. If you’d like to connect more with Dana, she writes at The Prime Rib, a website for minister’s wives in Tennessee. 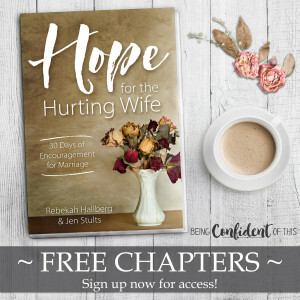 For a practical take on how to encourage a discouraged husband (and how NOT to), try this one from Club 31 Women. Hey Jen, I really like this article! I think we, as wives, often feel the “helper” is to assist in earthly things when in reality it’s not limited to earthly things but holds a far greater responsibility to help in spiritual things, just as you wrote about. I have found when I grow weary of helping in the spiritual area it’s because I need to go to the Rock myself! lol! Life is so busy, but you are right, we need to pursue the spiritual life we now have in Christ to do the will of our Father. Exactly, Becky! I think also that we sometimes tend to downplay that role – “well, I’m just the helper” – as if it’s not important, or as if we are weaker in that way. And while I believe that we are still to submit to our husbands, God created us to be so much more than what we typically think of as a “helper.” He really does want us to be warriors – strong, fierce women of faith who fight alongside our husbands! I don’t know about you, but when I think of it that way, I feel the weight of that responsibility. What you said about going to the Rock yourself is key! We cannot do it in our own strength. Thanks for stopping by and sharing your thoughts here. I’m sharing this post on FB. So many of us fail to be that warrior wife for our husbands. Such a huge, huge reminder to me today, Jen. Thank you. I so appreciate you, Leah, and your constant encouragement! I’m thankful the Lord can use my mistakes, my weaknesses for His glory (just like Paul wrote). Loved this! Such a great reminder that even though we are the “weaker” vessel we are still mighty and powerful! Just like you pointed out, how we chose to respond makes quite a difference. I am working on seeing myself as a warrior and how valuable that is for my family. Changing my mind frame to warrior mode! Hi, Amy! I find that most lessons I learn in different areas of life (motherhood, marriage, ministry, etc.) relate back to that core identity, don’t you? Everything we are and everything we do has to flow from Him. Otherwise, it’s all “filthy rags” – worthless. Thank you for your word of encouragement! Jen this is a wonderful article! I am so happy that I stumbled upon your blog! I have been so convicted in the past little while that I have both the priviledge and responsibilty to “do battle” for my man in prayer. It is something that I am so passionate about! Thanks for the reminder and encouragement! I feel like a failure, I am fighting for my MARRIAGE, and the restoration of it, he was in occult gaming, the enemy used his mom, another hurting woman, to walk him into adultery. And the fact, that I was born with epilepsy. I’m so sorry to hear this. 🙁 Please don’t let the Enemy have victory in this way! Turn to the Lord and ask Him to help you believe only what is true. 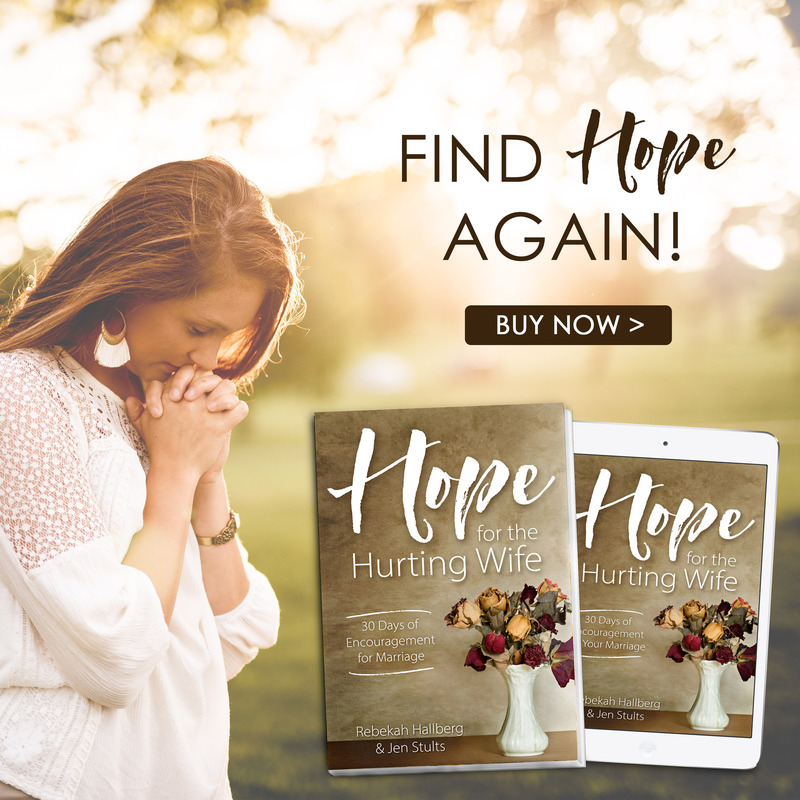 I also recommend Hope for the Hurting Wife as the co-author and I have been through some wounds in our own marriages. We know what it’s like to fight for marriage! Praying for you today as I type these words. Please know you are NOT alone! This is so interesting!! I’ve never heard it from this perspective before! I love that you say it’s our perspective that hinders us from doing these things, I think that’s so true!! I’m trying to change the way I view my responsibilities at home and see them as an incredible privilege and blessing!